Brian is the Managing Funeral Director of Riverview Funeral Home, he is a lifelong resident of Peru having graduated from Peru High School in 2001. Not only does Brian have an Indiana Funeral Directors License which he obtained after graduating from Mid-America College of Funeral Service in 2012, he also has an Indiana Life Insurance License, this allows him to help the community with the pre-planning of their funeral arrangements. He spent the first 3 years of his funeral service career serving families in Kokomo but now has the opportunity to live out his livelong dream of opening up a new funeral home to serve those in Miami County. His goal was to provide the community with a state of the art facility where everyone would come together to support those experiencing a loss. He also had a vision to make the facility available to all types of celebrations and this is why there is a beautiful event center available as well. Brian currently serves as President on the Peru Parks Board, United Way Board and is a member of the Rotary Club. Brian invites you to stop by and see the new facility. Brian is honored to serve the community. 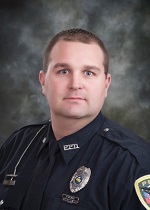 Josh is a lifelong resident of Peru and a 1999 graduate of Peru High School. He and his wife Becky are the proud parents of three children. Josh loves Peru and interacting with the public and is honored to also serve you here at Riverview. Raymond is a lifelong Peru resident and retired from the Norfolk Southern Railroad in 1995. He is the husband of Kelly and the father of Blaine, Dusten, Brian, Andrew and Victoria. He and Kelly have been members of The First Church of Christ for more than 20+ years.